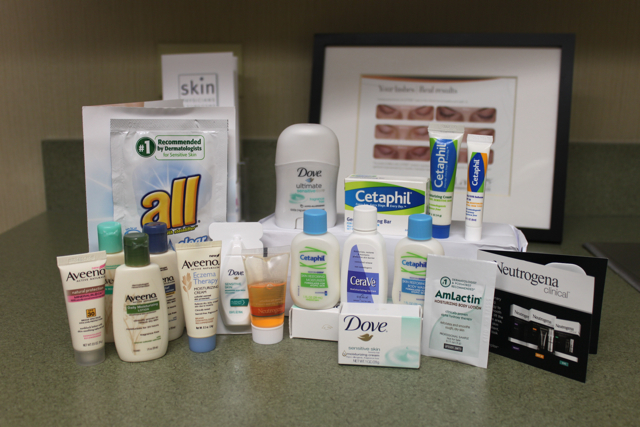 Skin Care Goodie Bag Giveaway! Check out our Facebook Page for our latest giveaway of awesome goodies! This entry was posted on Wednesday, August 31st, 2011 at 10:48 am	and is filed under Office Life. You can follow any responses to this entry through the RSS 2.0 feed. You can leave a response, or trackback from your own site. Tanorexia, tanorexic, tanning addict? None of these are new terms however, a new study suggests that frequent users of tanning beds exhibited brain activity similar to that observed in people addicted to drugs or alcohol. A study published in the journal Addiction Biology found that tanning bed user’s brain activity and blood flow to the brain area are altered by tanning bed users in similar ways to drug and alcohol abusers. Scientists filtered out the UV light without telling the subjects and saw far less activity in regions of the brain that are normally associated with experience. The tanners did not feel fulfilled after the sessions without UV light and still desired to go tanning. This indicates that they could tell when they didn’t experience the addictive brain activity and felt as though they did not get their “fix”, much like with drugs. Tanning comes with many health risks. According to Skin Cancer Foundation, people under 30 who use a tanning bed 10 times a year have eight times the risk for malignant melanoma. Still longing for that bronze glow? Safe and effective options include self tanning lotion or a spray tan. This entry was posted on Monday, August 15th, 2011 at 9:30 am	and is filed under Skin Cancer. You can follow any responses to this entry through the RSS 2.0 feed. You can leave a response, or trackback from your own site. This entry was posted on Friday, August 12th, 2011 at 1:23 pm	and is filed under Celebrities, Cosmetic Procedures, Office Life, Skin Cancer, Skin Care, Video. You can follow any responses to this entry through the RSS 2.0 feed. You can leave a response, or trackback from your own site. Our office had the pleasure of attending Incredible Edibles at the Scheu Family YMCA of Upland. All of the proceeds from the event support programs for children and families who need financial assistance. In addition to supporting a great cause we also enjoyed a night filled with lots of yummy food from local restaurants, wineries, and breweries. It’s always fun to get out of the office and catch up with each other. 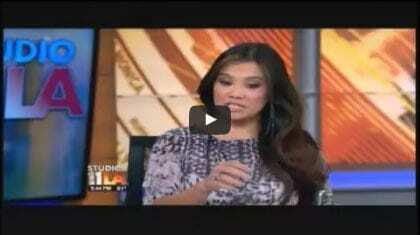 This entry was posted on Thursday, August 11th, 2011 at 10:30 am	and is filed under Office Life, Video. You can follow any responses to this entry through the RSS 2.0 feed. You can leave a response, or trackback from your own site. Below is a video of an epidermoid cyst being removed from the back of a young women’s ear lobe. It may not be as exciting as videos on youtube showing at-home surgeries on cysts with the ubiquitous “ooooohhhhh!! !” yelled out when a large amount of drainage is seen. However, this video shows how a small in-office procedure can quickly get rid of an annoying growth. This entry was posted on Wednesday, August 10th, 2011 at 2:24 pm	and is filed under Cosmetic Procedures, Video. You can follow any responses to this entry through the RSS 2.0 feed. You can leave a response, or trackback from your own site. As the quest for a perfect cover girl continues no body part is safe from photoshop, hands included! 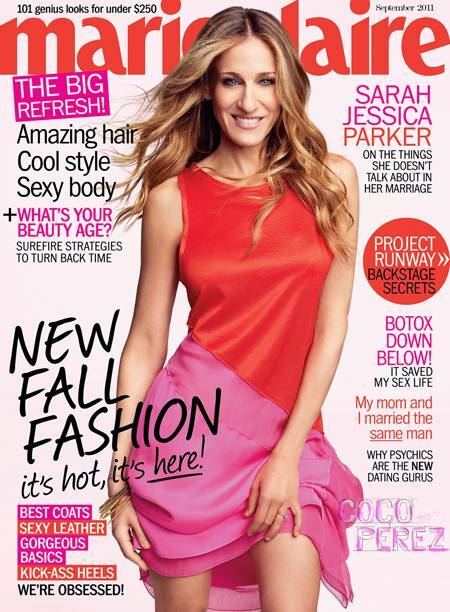 Cocoperez.com recently pointed out that Sarah Jessica Parker was the latest victim of over-photoshopping. We think Sarah Jessica Parker looks great but Maire Claire Magazine unrealistically made her hands look like those of a 16yr old. Wonder what you can do to make your hands look younger? First off, make sure you’re slathering sunscreen on your hands on a daily basis to prevent sun damage. Most women have incorporated using sunscreen everyday on their face but may forget about other areas that have sun exposure, like the chest and hands. Has the damage already been done? You can tighten skin and fade “sun spots” away by resurfacing the skin with a laser such as the MiXto Fractionated CO2 Laser. Another way to give your hands a more supple and youthful appearance is by a filler such as Radiesse. Placed beneath the skin, Radiesse raises the skin level so that tendons, joints and veins lose their prominence. Radiesse provides instant and long lasting results. This entry was posted on Tuesday, August 9th, 2011 at 7:30 am	and is filed under Botox/Dysport, Fillers, Laser Treatment, Skin Care. You can follow any responses to this entry through the RSS 2.0 feed. You can leave a response, or trackback from your own site. First there was Botox, then came Dysport, and come this spring there will be a third option: Xeomin (incobotulinumtoxinA). The Food and Drug Administration (FDA) approved Xeomin in July 2011 for the treatment of severe frown lines or “11’s” between the eyes. Xeomin was already FDA approved for use in adults with cervical dystonia and blepharospasm. While it’s still unknown how Xeomin will compare to Botox and Dysport, we do know that Xeomin is formulated differently without any additives possibly making it less likely to cause adverse reactions. 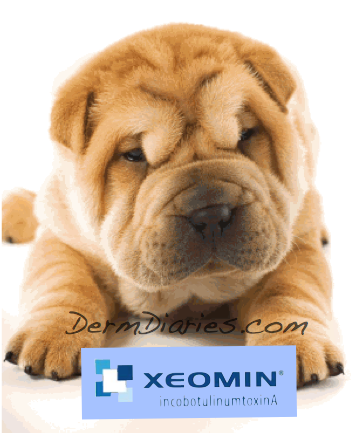 Xeomin is also the only FDA-approved botulinum toxin that does not require refrigeration. You’ll have to wait a few more months for Xeomin to be available. As soon as more information is available we’ll be sure to let you know. This entry was posted on Monday, August 1st, 2011 at 12:44 pm	and is filed under Botox/Dysport. You can follow any responses to this entry through the RSS 2.0 feed. You can leave a response, or trackback from your own site.